Search for Care: With our easy to use search tool, you can find care that meets your needs, in your location, fast. 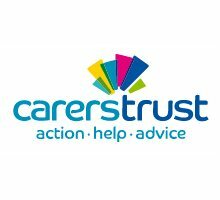 Carers Trust work to improve support, services and recognition for anyone living with the challenges of caring, unpaid, for a family member or friend who is ill, frail, disabled or has mental health or addiction problems. They do this with a UK wide network of quality assured independent partners and through the provision of grants to help carers get the extra help they need to live their own lives. Carers Online is a partnership website. It provides carers, those supporting them and others with national and local information. If you or someone you know needs help with day-to-day living because of illness or disability, this website explains your options and where you can get support.